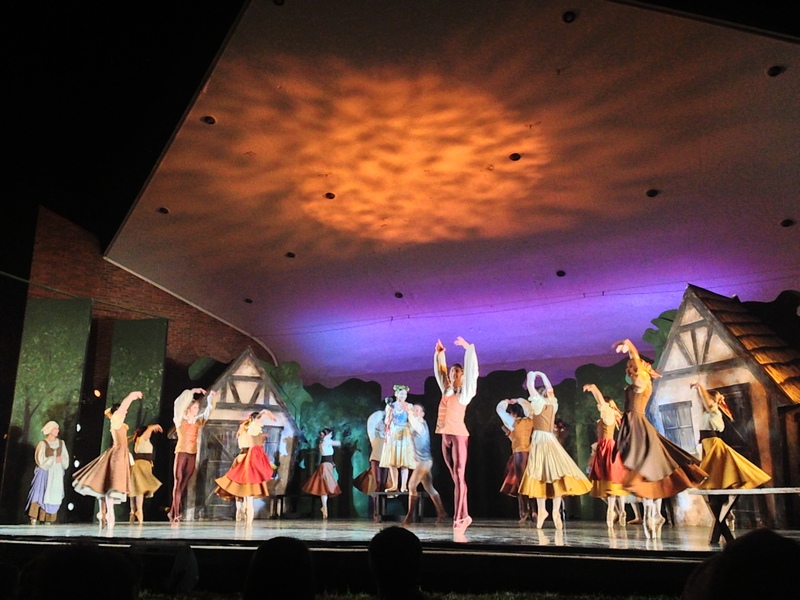 As a part of their mission to “bring ballet to the people,” the Dance Theatre of Tennessee staged a performance of Giselle in Centennial Park. The performance was held in the park’s bandshell and the audience was spread out on blankets and beach chairs in front of the stage. The stage was only about a foot off of the ground, so there was not much separation between the dancers and the crowd. I’m really glad I decided to bring a second blanket with me. We went on the first day of fall so it was crisp and cool outside; by the time the performance was over it was 63 degrees and a little chilly. We really could have used a thermos of hot chocolate. Giselle is your typical nobleman meets girl, nobleman disguises himself as a peasant to get girl, girl discovers nobleman is lying and engaged to another, supernatural beings get pissed and sentence the nobleman to death by dancing type of story. Giselle premiered in Paris in 1841. [Caution: Ballet spoiler alert.] The first act focuses on the the Duke’s courtship of Giselle. Hilarion, a gamekeeper, is also in love with Giselle and tries to warn her that there is something fishy about the Duke. Giselle, however, ignores Hilarion because the Duke is just sooooo dreamy. To complicate matters, Giselle has a weak heart so she has a crazy helicopter mother who also wants to keep the Duke away from her. At some point the Duke’s fiancée shows up and the Duke hides. Eventually, Hilarion figures out what is going on and outs him. Giselle freaks out and dies of a broken heart. The second act takes place in a forrest near Giselle’s grave. Wilis (pronounced villees—young girls who have died before their wedding day), haunt the forest to seek revenge on any man they encounter, forcing them to dance until they die. Harsh. They are led by their queen, Myrtha. Giselle rises from the grave and join the Wilis. The Duke shows up to mourn at Gilselle’s grave and begs for he forgiveness. Giselle forgives him, because you know, she’s dead, what does she care? That, and she still loves him. Meanwhile, the zombie brides corner Hilarion and make him dance until he drowns in a lake (somehow I missed this part during the performance). Then they turn to the Duke. Giselle pleads for his life, but Myrtha refuses. Eventually, Giselle’s love overcomes the spell the Duke lives and Giselle can rest in peace. I really enjoyed the ballet. It was expressive and told the story better than I expected. 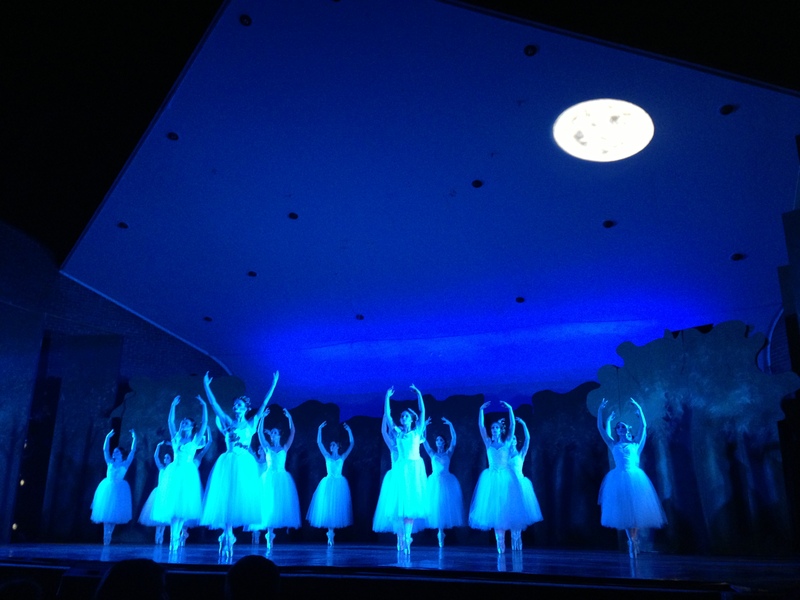 While all of the dancers were incredibly talented, the ballerina in the role of Myrtha was particularly gifted. I’ve never had a particular knack for dancing, but somehow she made it seem completely effortless. Bats flew across the stage and swooped over the dancers heads for much of the second act and not once did they seem phased by it. My friend Loren commented that she now understood why little girls can become so preoccupied with wanting to be a ballerina when they grow up. Who wouldn’t want to put on gorgeous dresses and dance around on state to beautiful music? I’m really glad I decided to attend a ballet. While, I’ve always wanted to go and I expected to enjoy it, I just never made the effort to attend a performance. Now, however, I’ll be much more willing to attend in the future. Especially in a warmer, more traditional venue. 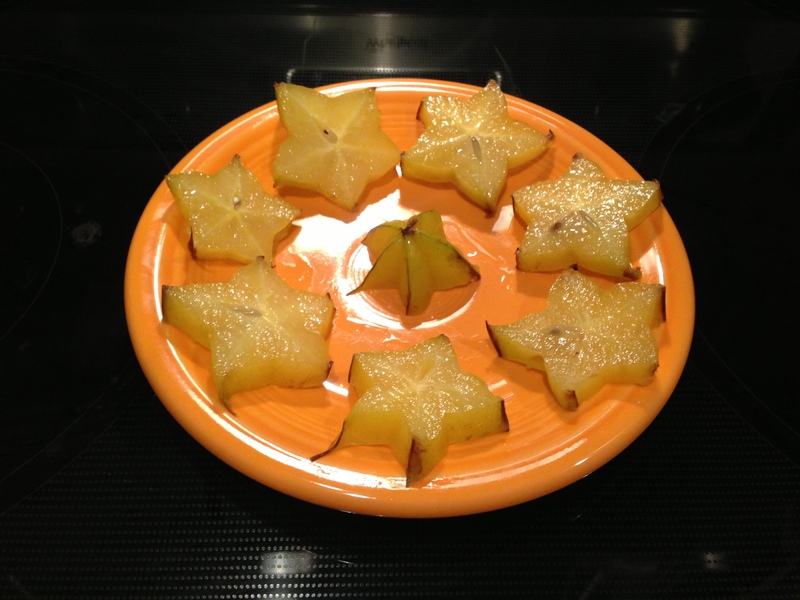 Earlier this week I was at the grocery store when I passed by a bin of starfruit. I’ve been curious about trying one for a while, and since nothing was stoping me I grabbed one and threw my basket. The check-out person asked me how I selected the piece of fruit I did and how I knew it was ripe. I told her that I had absolutely no idea and that I just thought it looked interesting. It tasted like somebody combined a really mediocre apple and a flavorless orange. I was really hoping that it would be sweet and tropical, but mainly it was just “meh.” Unfortunately, it didn’t live up to how delicious it looked at the store. Apparently, in some countries they are grown as ornamentals rather than food; those people have the right idea. Thanks for joining me! 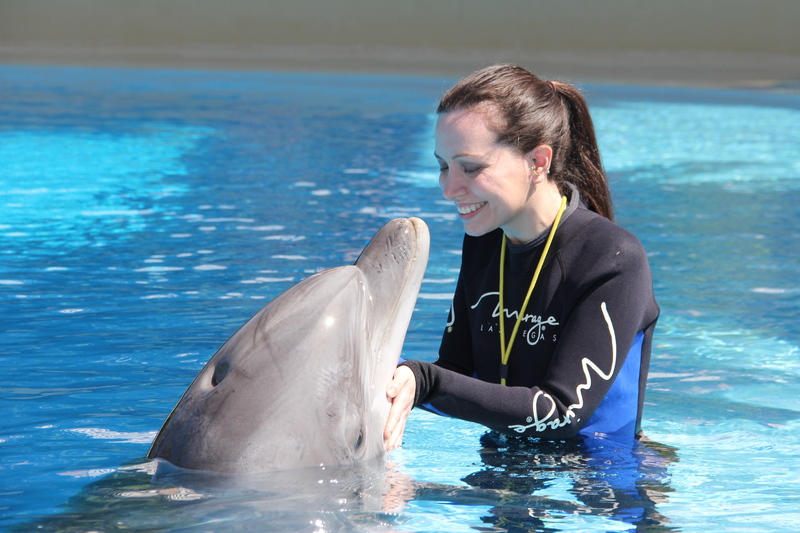 I can’t wait until our next adventure! Love the ballet. Love your witty explanation of the plot. Love you. Come back to Vegas please. I’ll be back in March! I can’t wait to see you! hey….I just saw you have apple picking on your to do list and it’s not yet crossed off. why not come up and visit your cousin. we are in the midst of apple picking season and you are more than welcome to stay with us.